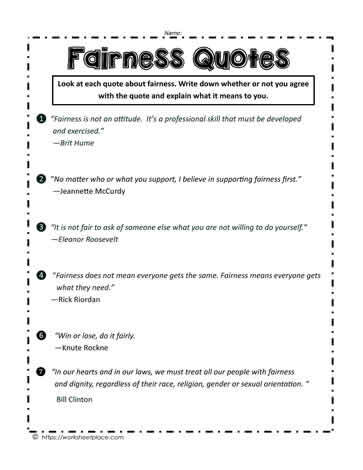 Use fairness quotes in the classroom to teach about this character trait. Have students analyze the quote and decide if they agree or disagree with it and why. A great way to teach about character traits is to use quotes for each of them. 4th grade character trait worksheets.